Walking Buddha is another Buddha statue available in Tumpat. 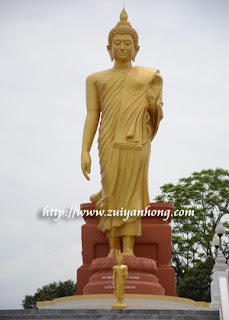 It's located at Wat PikulThong at the north-western Kelantan. At first I thought it's a stand Buddha but it actually is a walking Buddha. The Buddha stands with one leg and the other leg is stepping forward. 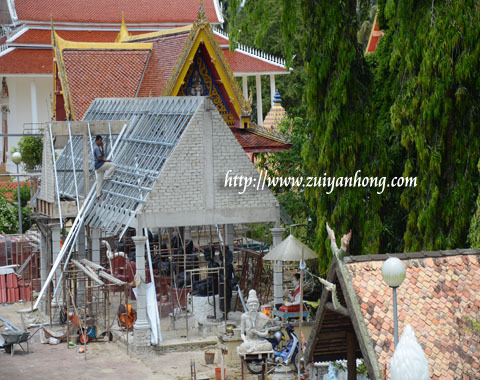 During our visit to Wat PikulThong, upgrading project was underway intensively. It shows that Wat PikulThong is truly popular. There was a small food stall selling Kelantan delicacy---Khao Yam. The stall was not special but there were quite many customers.